Brasilidade is a Brazilian Samba band from Los Angeles that has been playing Brazilian music all over the US for the past 14 years. 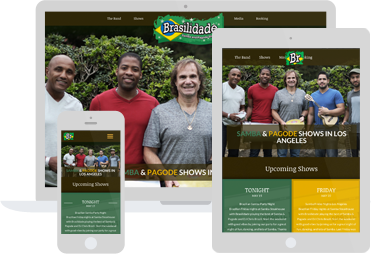 Brasilidade’s new website features a responsive WordPress theme that we created specifically for them in order to increase the band’s online exposure and maximize the number of fans. 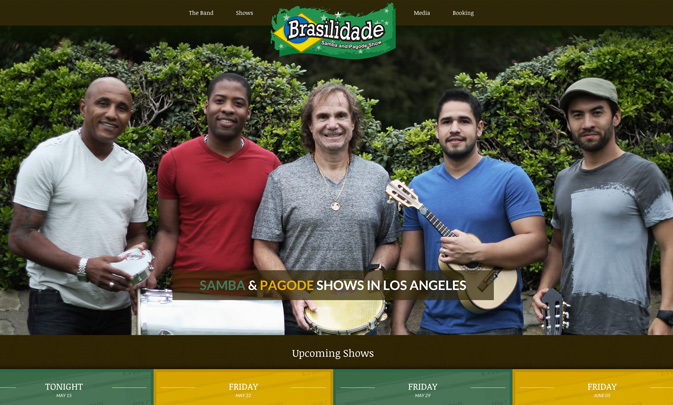 Brasilidade needed a website that would promote well their music as well as their shows. We created a powerful Events plugin that lists their upcoming shows, integrated with the Google Maps API and social media sharing features. It gives them the ability to post their events, upload photos, videos, all in a very easy and interactive way.